Teaching With An Open Heart: Happy Birthday, Mr. Rogers. Friday was Fred Roger's birthday. He really exemplifies the kind of teacher and human being I want to be- calm, loving, full of spirit, open-hearted, open-minded. Fred Rogers was one of the fiercest advocates ever for children. He spoke gently and calmly and people listened to him. He was so genuine and warm that he just pulled you in. This weekend I am filled with hope again. A couple of great things happened at work this week which I'll write about in more detail some other time. Basically, others came forward and said these kids do matter and they're amazing and we honor you for the work you're doing. I'm not embarrassed to say that it felt good- we all need support, encouragement, and validation. So, the quote above resonates with me this week. Last week I felt so gloomy about teaching. But, I learned this week that if you keep your heart open and you look around for your friends and allies, they are there, and things will get better. 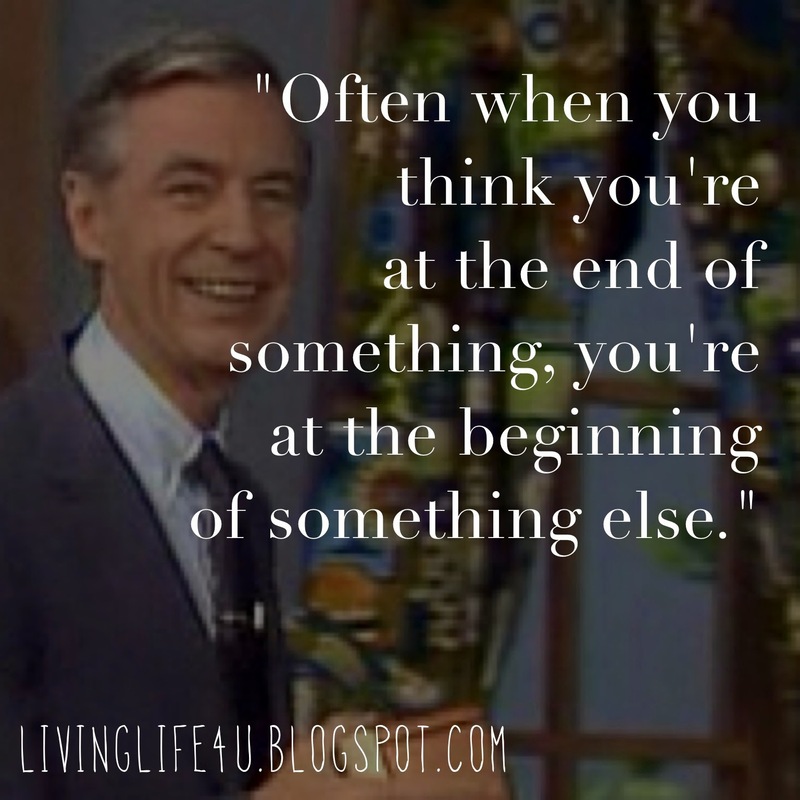 Take a few minutes and connect to this article about the life lessons Mr. Rogers taught us. There are 2 amazing video clips in there that you just have to see. One is him testifying to Congress to get more funding for his programing. He completely disarms the politicians with his warmth and sincerity. The judge on the panel says, "I'm supposed to be a pretty tough guy, but his is the first time I've had goosebumps in two days." The other clip is Mr. Rogers accepting a life-time achievements award at the Emmy's. There he is accepting this award in Hollywood with all these fancy people and he continues to be exactly who he is..... and he is loved for it. So, happy birthday, Fred Rogers. "Anyone who does anything to help a child in his life is a hero to me".